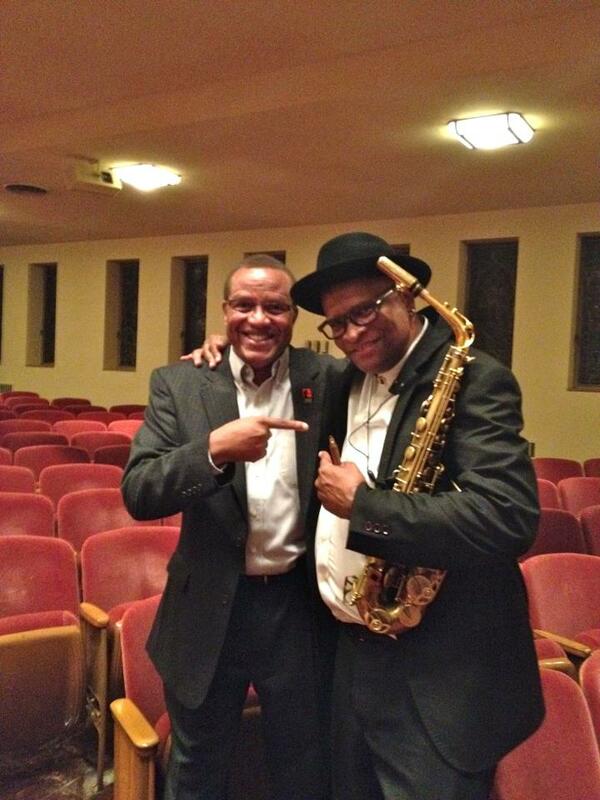 PHOTO: Mr. Burnett with jazz great and Kansas native, Bobby Watson after his performance with the Kansas City Jazz Orchestra at Unity on the Plaza. YOUTH JAZZ is a premier student jazz artist opportunity. Our approach is to engage the next generation of jazz artists in an applied performance environment. Our philosophy is to develop selected jazz repertoire for refined performance opportunities through a high-level of understanding and musicianship. 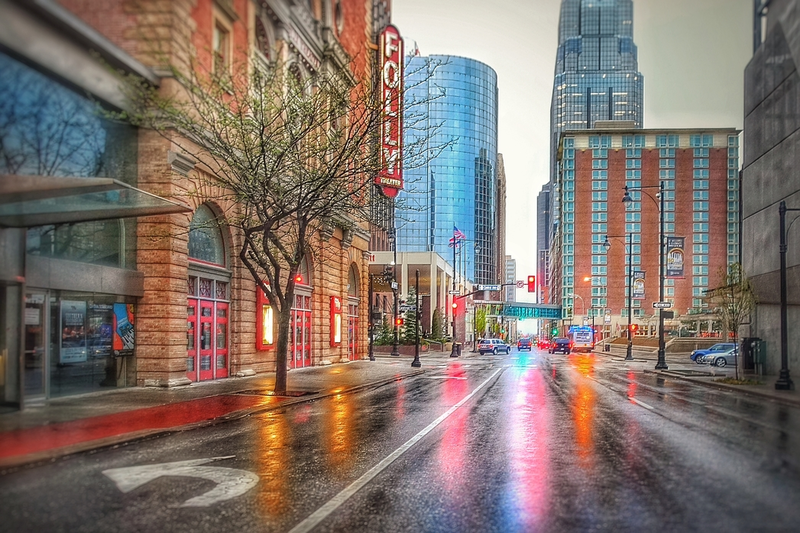 Our vision is to attract the "best of the best" among the KC area youth jazz musicians. What's unique about our process is the opportunity to allow the most accomplished jazz artists of our youngest generation a forum among peers each season. Among the distinct and interesting facts about our model is that students are exposed to and learn about both - the music and the business of jazz. This sets us apart from many jazz education programs. 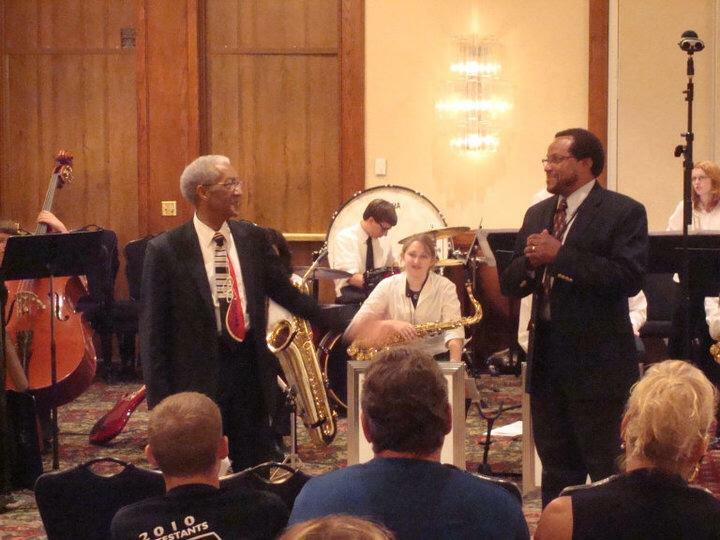 Mr. Burnett returned home to the Kansas City area in 2001 after serving 22 years with military jazz bands. He worked with Leon A. Brady's famous jazz education program for five years (until Mr. Brady retired) and then with other jazz education programs. PHOTO: Mr. Burnett with Mr. Brady presenting a Jazz Clinic for fellow Music Educators at the Kansas Bandmasters Association conference. 01 February 2019 - All auditions closed. 15 February 2019 - KCAYJ Fellows announced. 25 February 2019 - Musical arrangements sent to KCAYJ Fellows. 01 April 2019 - Weekly KCAYJ rehearsals at BRC Audio Productions facilities. 08 April 2019 - Weekly KCAYJ rehearsals at BRC Audio Productions facilities. 15 April 2019 - Weekly KCAYJ rehearsals at BRC Audio Productions facilities. 22 April 2019 - Weekly KCAYJ rehearsals at BRC Audio Productions facilities. 29 April 2019 - Weekly KCAYJ rehearsals at BRC Audio Productions facilities. 06 May 2019 - Weekly KCAYJ rehearsals at BRC Audio Productions facilities. 13 May 2019 - Weekly KCAYJ rehearsals at BRC Audio Productions facilities. 20 May 2019 - Composer-In-Residence workshops KCAYJ Fellows. 27 May 2019 - Weekly KCAYJ rehearsals at BRC Audio Productions facilities. 03 June 2019 - Debut Concert of 2019 KCAYJ Fellows at BRC Audio Productions. 10 June 2019 - Weekly KCAYJ rehearsal or TBD performance. 17 June 2019 - Weekly KCAYJ rehearsal or TBD performance. 24 June 2019 - Weekly KCAYJ rehearsal or TBD performance. 01 July 2019 - KCAYJ HOLIDAY BREAK. 08 July 2019 - Weekly KCAYJ rehearsal or TBD performance. 15 July 2019 - Weekly KCAYJ rehearsal or TBD performance. 22 July 2019 - 2019 KCAYJ RECORDING SESSION at BRC Audio Productions. 29 July 2019 - 2019 KCAYJ SEASON ENDS. 05 August 2019 - 2019 KCAYJ RECORDING PREPARED FOR RELEASE on the ARC label. 02 November 2019 - 2019 KCAYJ RECORDING RELEASED at iTunes, Apple Music, Spotify, etc. NOTES: This timeline is for planning purposes. The final schedule with specific dates will be distributed at the start of the season. Rehearsals are not paid. However, students participating as 2019 KCAYJ Fellows will be paid for performances. YOUTH JAZZ brings together a diverse range of individuals, organizations, and businesses to support our mission. We bring validated individual and collective professional experience to the jazz education and ensemble performance process. It's about using our collective expertise and knowledge to develop another generation in the jazz continuum. 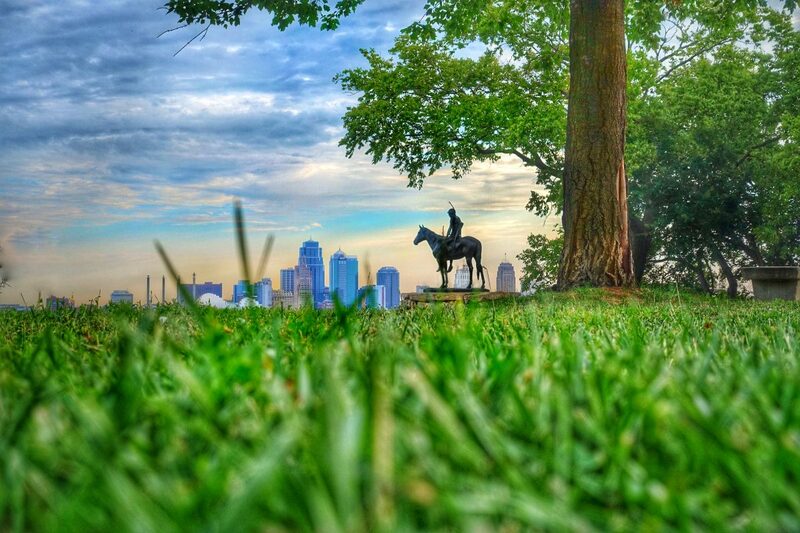 Mr. Burnett is a prominent Kansas City saxophonist, bandleader, instructor, and raconteur. He operates Artists Recording Collective, a record label that has released dozens of albums by jazz musicians from around the world. Mr. Crain has become a regular presence on the local and regional Jazz circuit and has also garnered a prestigious reputation as a "musical" recording engineer at his own BRC Audio Productions. Mr. Gordon holds a Bachelor of Arts in Music (2015) and a Master of Arts in Education of Music (2016) from Truman State University in Kirksville, Missouri. He is an active band director and educator for Platte County School District.